A rampant second half by the Sydney Swans was too much for the SUNS to overcome in Round 2 of the NEAFL at Metricon Stadium. The SUNS held the lead at half-time but a six-goal third quarter and five-goal fourth helped carry the Swans to a 17.8 (110) to 10.12 (72) win. NEAFL Coach Nick Malceski said it was inconsistency which cost the SUNS a game they could have won. “If you break it down quarter by quarter, we started pretty slow and Sydney jumped us,” Malceski told SUNS Media. “In the second quarter we got going and played the way we wanted to play. “Unfortunately we weren’t able to sustain it for the second half. Josh Corbett was the feel-good story of the day for the SUNS, booting three goals on club debut. The 22-year-old forward impressed with his leading patterns and was able to haul in a match-high 10 marks on the day. “I felt like a bit of a headless chook at the start of the game but Daysy and Benny King really set me up early,” Corbett told SUNS Media. “I was pretty inaccurate and will have to go back and do some work on that but it was pleasing to hit the scoreboard a few times. In his first game since Round 1 of the AFL, George Horlin-Smith found plenty of the pill, collecting 32 disposals and nine clearances. 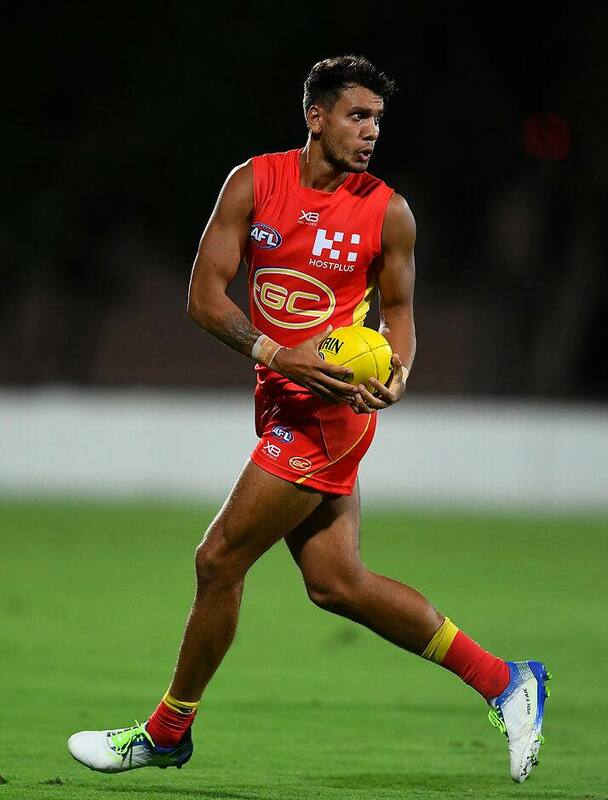 Callum Ah Chee was equally impressive in his first game of the season, accumulating 24 disposals and nine rebound 50’s. Tom Nicholls was once again solid in the ruck and at ground level, allowing the likes of Brad Scheer (31 disposals, 13 clearances) and Will Brodie(30 disposals) to have first use. Ben King was given a chance as a full-time forward and presented well, assisting Connor Nutting for a goal in the first quarter and kicking one of his own in the last. The SUNS face the Giants in Round 3 of the NEAFL at Blacktown International Sports Park.